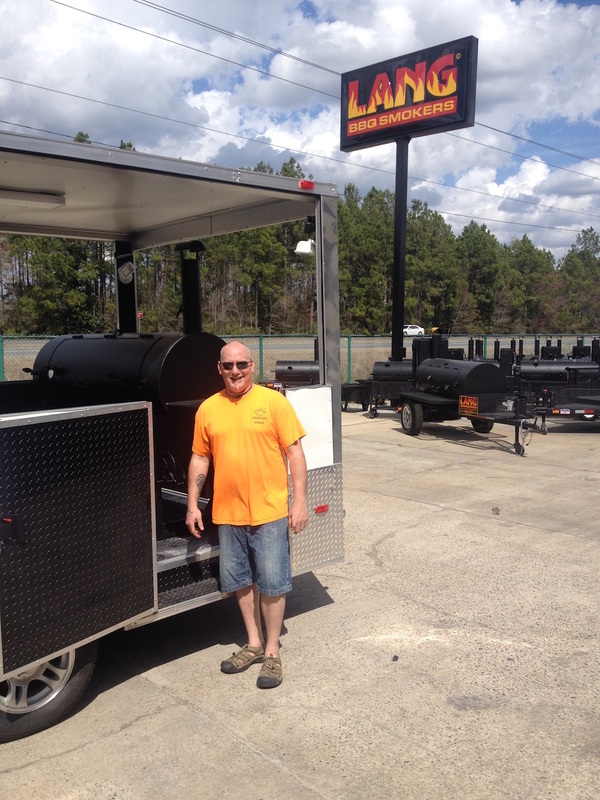 This repeat customer from Michigan (he already has an 84″ Deluxe Lang BBQ Smoker) came down from Michigan to pick up his second Lang BBQ Smoker, a 60 inch model built to fit on the back of his concession trailer porch. He’s looking pretty happy to get back on the road back to MI! Best of luck in the upcoming Michigan food vendor concession season!